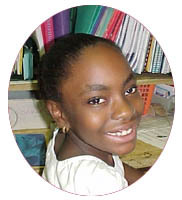 Special thanks to Carla Hurchalla and Betty Ryall who organized the "Authors in Residence" program at Delmar Elementary. 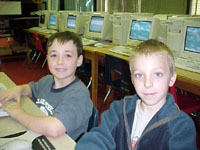 Mrs. Elzey's third grade computer students are participating in the program in Mrs. Weeg's lab for the 2001-2002 school year with Lois Szymanski. 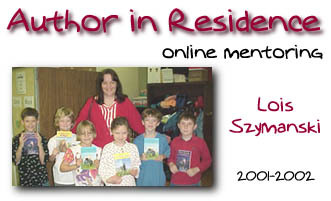 We are proud and excited to be working again this year with Lois Szymanski who has authored many books for children. Our program was a big success during the first two years and meant a great deal to all involved. Mrs. Szymanski came to Delmar in June of 2000 and June of 2001 and met the students who worked with her online from November through March. They are pictured with her in the top photo on this page. Mrs. Szymanski came to Delmar again!